“I’m inspired by people, by love – love is the strongest word that keeps me pushing. If you love yourself, you should be able to love others. 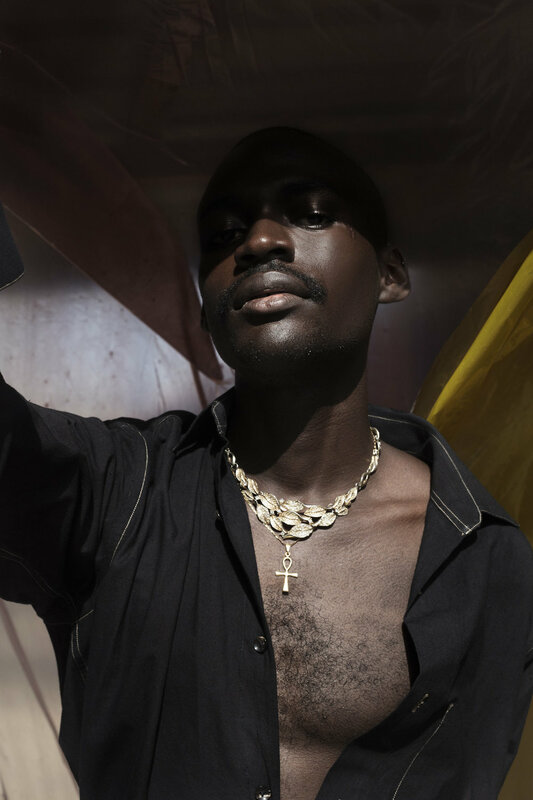 And if I can love the people I make clothes for, then it will be something unique.” Kenneth Ize is in a reflective mood as he discusses what powers his eponymous menswear line, and life in general, with Nataal. “My style is about asking questions and listening to people’s stories. It’s about my friends, our travels together, challenging myself and being open.” This philosophy has held the 28-year-old Lagos-based designer in good stead on his journey so far and he’s well on his way to bringing his ethical luxury brand to the world. Ize was encouraged by his parents to explore his creative side while growing up and went on to study fashion at the University of Applied Arts in Vienna, completing his BA under Bernhard Willhelm and MA under Hussein Chalayan. “My time at university taught me what the fashion industry needs now. It needs people to be very real about their work, to learn not to waste things, and to make products with value,” he recalls. In between degrees he presented his first full collection at Lagos Fashion and Design Week in 2013, and interned at Edun in New York, which inspired him to focus on working directly with African artisans.